Malaria, which is caused by single-celled eukaryotic parasites from the genus Plasmodium, is spread to humans through the bite of female mosquitoes from the genus Anopheles. Human malaria is caused by one of five species of Plasmodium parasites, with P. falciparum being the most pathogenic and well-studied. Yet, little is known about the genomic content for P. malariae and P. ovale, even though they cause a significant number of malaria cases annually. In the new study, the researchers determined the genome sequences of the two parasite species. 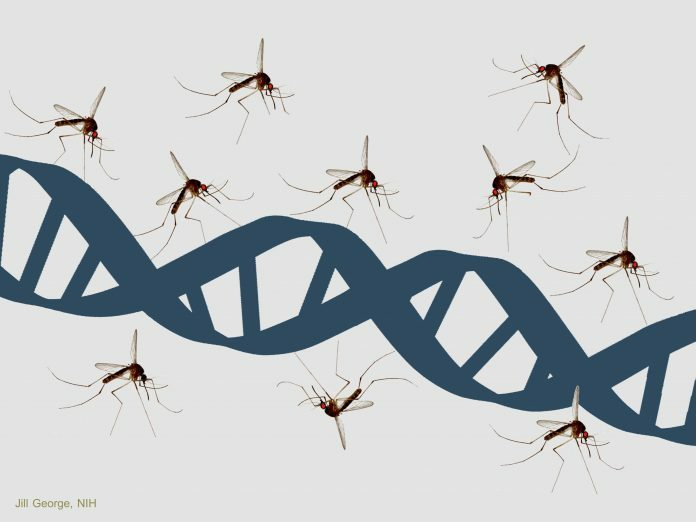 By comparing these new genomes with those of the malaria parasites already sequenced, the researchers were able to identify genes that could be involved in human infection and in adapting to the human host. Interestingly, they found that up to 40 percent of the P. malariae and P. ovale genomes contain genes that are probably involved in evading the host immune response. Moreover, the study revealed that P. malariae contains two new families of genes that are similar in shape to a vital gene in P. falciparum, known as RH5. This gene is essential for the P. falciparum parasite to invade human red blood cells and is one of the top targets for malaria vaccine design. It is likely that the novel P. malariae genes are also involved in binding to host cell receptors. Interestingly, P. ovale actually consists of two distinct species, Plasmodium ovale wallikeri and Plasmodium ovale curtisi. The authors showed that the split between these species was ancient and occurred long before the much more virulent P. falciparum emerged. The researchers also sequenced Plasmodium parasites taken from chimpanzees living in a sanctuary in Gabon. They compared these with the human samples, and existing data from other Plasmodium parasites that also infected chimpanzees, offering insights into how malaria parasites have adapted to different host species. The new genetic information is already available for other scientists in the malaria research community to use via the Sanger Institute GeneDB database or the European Nucleotide Archive at the European Bioinformatics Institute.